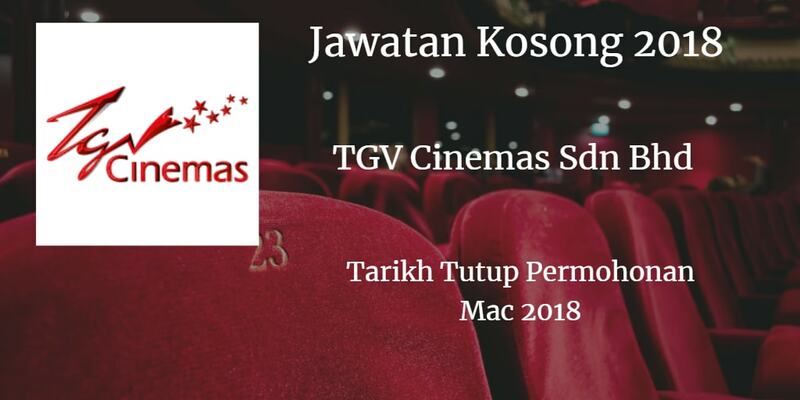 TGV Cinemas SDN BHD Warganegara Malaysia yang berminat bekerja di TGV Cinemas SDN BHD dan berkelayakan dipelawa untuk memohon sekarang juga. Responsible for delivering and maintaining a high level of customer service to ticket and concession item purchaser. To usher the guests into the cinema and ensure that tickets are correct(movie titles. date. time and price). Attend to all customer‘s enquiries. requests and feedback. Other duties assigned by the supervisor when required. Minimum SPM with good command at Bahasa Malaysia and English. Friendly. active. tun and outgoing. Pleasant personality with good interpersonal skills and able to liaise with people from all levels. Team spirited. responsible and with positive work attitude. Able to work on shifts. weekends and public holidays. Experience in the service industry would be an added advantage. 501. 2nd Floor. AEON Bukit Indah Shopping Centre. 8. Jalan Indah 15/2. Bukit lndah. Lot 501, level 2 AEON Kulailaya. Indahpura. 5O1, 2nd Floor. AEON iebrau City Shopping Centre. I, Jalan Desa Tebrau. Taman Desa Tebrau. 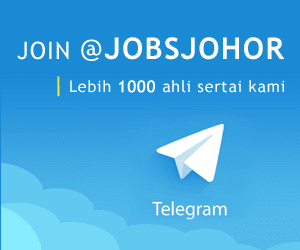 81 100 Johor Baharu. Johor.